Tentworld: The benefits of using a 3 way fridge or gas electric fridge. The benefits of using a 3 way fridge or gas electric fridge. Three way fridge freezers otherwise known as gas electric fridges operate on Gas, 12V and 240V. Camping fridges are a source of mystery for many campers today especially when they are presented with the wide range of choice of compressor type fridges. This article will attempt to eliminate some of that mystery and shed some light on why you may want a gas fridge. If you are camping in one spot without power for more than three days, then you need to seriously consider a gas fridge. A 4kg LPG cylinder will run a gas fridge for 10 days continuously without any monitoring or concern. That is what makes gas fridges such a great camping product. The downside is that they are slow to chill down to the desired temperature in comparison to compressor fridges because they are not force driven like compressor fridges. Three way fridges do use a lot of power on twelve volts, drawing anywhere up to 10 amps. This means that this fridge cannot be left on while the vehicle is turned off which means it is not particularly suitable for road trip camping. 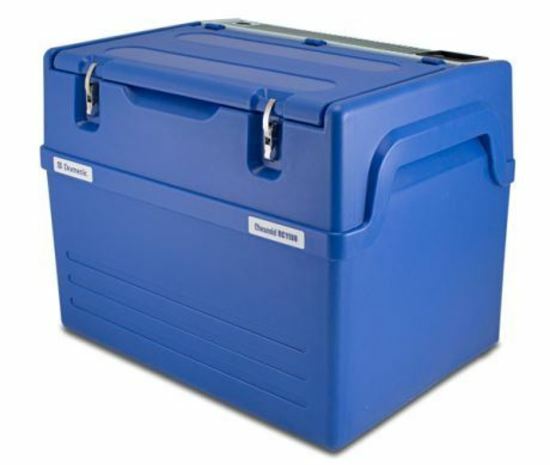 For this sort of travelling a compressor fridge is most likely the best choice for your usage. The Dometic RC1180 - currently Australia's most popular 3-Way gas fridge. Three way fridge freezers when operated are able to get to 3 degrees or below as a refrigerator or -10 degrees as a freezer in reasonable conditions. Gas electric fridges need to be reasonably level to give maximum performance- a bubble level takes the stress out of guessing levelness. How to maximise the life of your gas electric fridge. To maximise the life and performance out of a gas fridge, run the fridge continuously on either gas or 240v to make the unit circulate. Keep your beers and coke in the fridge in the garage at home when not on holidays to keep the fridge working. Keeping the fridge stored for long periods of time without use is not ideal, put it to work at home as a extra freezer or a bar fridge. - Dometic Chescold RC1180 technical details and price. - Dometic Chescold F400 technical details and price.